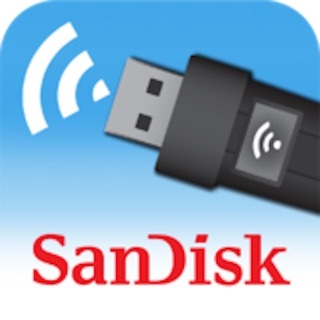 When used with the iXpand™ Flash Drive, the iXpand Drive App makes it easy to back up, transfer and manage photos, videos and files between your iPhone, iPad and computers. What is the iXpand Flash Drive? Connect the drive to your iPhone or iPad to launch the app. Once the app launches, you can set the app to automatically back up photos and videos from your camera roll to the drive. The app also makes it easy to watch videos or listen to music directly from the drive. And, to keep your content secure, the app lets you to encrypt files for transfer and storage between devices². 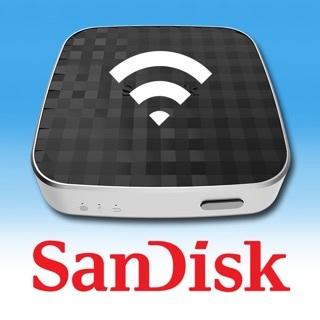 SanDisk is a trademark of Western Digital Corporation or its affiliates, registered in the United States and other countries. ©2018 Western Digital Corporation or its affiliates. All rights reserved. ¹ Supports iPhone 5, iPhone 5c, iPhone 5s, iPhone 6, iPhone 6 Plus, iPhone 6s, iPhone 6s Plus, iPad Air™, iPad mini™, iPad mini 4, iPad Pro, iPad with Retina display, iPod® 5th Generation and newer, iOS8.2 required. ² Password protection uses 128-bit AES encryption and is supported by iOS 8.2, Mac OS X v10.8+ (Software download required for Mac, (see www.sandisk.com/support/ixpandflashdrive) Windows Vista®, Windows® 7, Windows 8, and Windows 10. ³ Support for .MP4, .MOV video formats. DRM-protected content cannot be streamed. Check with the content provider for playback restrictions. Thank you for using iXpand! We regularly delivering new versions to bring your performance and reliability improvements. It’s a good flash drive, in theory, but the app used to access the files on it is seriously buggy. The “Arranging content so you don’t have to” sequence is an infuriating issue. I’ve already arranged my files, when I copied them to the flash drive! What do you need to “arrange”? Why does it take forever? Why is there no progress bar so I have an idea of how long it will take, or whether it’s just locked up? Why, after you’ve done it, do my video files link to metadata from the internet that are not actually associated with their content? In the file manager are stupid pictures of supposedly hip people that take up an enormous amount of space, instead of a clean file management interface that uses the space well. Structurally, there are other issues. The USB connector end of the drive is exposed, with no protective cap. The Lightning connector end of the drive has a teeny tiny cap, about the size of a pea, making it easy to misplace. When copying large files to the flash drive, it copies quite slowly and heats up a lot. Hoping for a next-generation version of this that addresses at least the ridiculous “Arranging content” nonsense. In this little drive is easy to work with and very helpfull to keep my phone free to shoot more photos and video. I shoot a lot. I definitely recommend the drive. One concern has cost me no end of grief and that is edited video that was shot on my iPhone and edited on iMovie for iPhone was exported to the drive on two occasions where it over wrote a previous video. The previous video had been done a day earlier. This happened twice while I was in China and I lost all my edits. This happened twice before I realized what was happening and could stop the bleeding by placing videos into their own separate folders. Very inefficient, and a real pain. Not an elegant workaround but a workaround nonetheless. Hence the four stars which, considering the nature of the problem might actually make it deserve two stars, you decide. I’ve been happy with the Drive in all other respects. There may be some customers out there who think, “this is a great idea to bypass my low available memory message on my phone and record long (large file size) videos.” If you have a iPhone which is one of the 8 GB or 16 GB, this product isn’t one you can use to record long videos. If you have a large amount of space on your phone available already for those long videos, this app will probably work great. But if you’re like me, and are trying to find a way to save large single video files straight to a computer via this flash drive, this isn’t the product for you. Even though there is an in-app camera that seems like it would do this, It still maxes off based on your phones available memory (not the flash drives). Great idea, hope to one day find a product to meet this need, because the iOS system keeps taking up way to much space on these low memory phones. 8GB and even 16GB phones doesn’t really give much room amymore. ©2019 Western Digital Corporation or its affiliates. All rights reserved.